Digital Marketing – Jessica N. Abraham | Designer. Writer. Publicist. MoceanMobile releases unique, powerful tool in Mobile Advertising and Analysis. 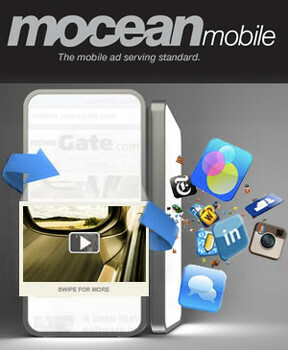 Mobile Advertising technology leader, MoceanMobile has released Mocean for Advertisers. 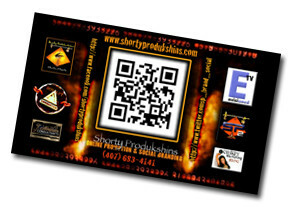 This product is of the latest mobile ad-serving products from this company. This product is said to be the “First 360-degree Product Suite built exclusively for Mobile.” This product enables easy integration in streamlining the buying and serving processes of mobile media for brands, agencies, firms, demand-side platforms and trading desks around the globe. This product allows clients to plan, buy, monitor and manage Mobile Advertising Campaigns from a single dashboard, ensuring the ability to reach the highest possible conversions and ROIs per impression. Shortly, the company will also release the ability to bid in “real time” in providing access to supplies from bidding exchanges. This comes from the tapping into some of the World’s leading agencies and largest advertisers for feedback on what works, doesn’t work and appeals to their Marketing and Advertising plans. In essence, the company has optimized their product to fulfill the needs of the most successful businesses, instead of trying to create a “one-size-fits-all” approach for Mobile Marketing and Advertising Strategies. As experts in Mobile, they have basically designed a very powerful product that will hold beneficial to any consumer, provided they learn the sciences behind the craft and how to use the platform for the ultimate Mobile Advertising experience. Mocean Mobile is comprised of developers, leaders, and influencers in the World of Media and Advertising as veterans from companies like Google, DoubleClick, Apple, Yahoo, Hachette Filipacchi and AOL. Operating under a parent company, Mojiva, Inc., Mocean Mobile currently provides corporations with ad-serving solutions for customers such as AT&T, Vodafone, WebMD, Microsoft, Skype, BlackBerry and TV Guide. Mocean Mobile is also known for having created one of the first mobile display technology platforms, powering mobile revenue opportunities for publishers, developers, app stores, brand marketers and ad agency trading desks. Mocean Mobile serves as the third party for providing these opportunities for all mobile devices on a cross-platform basis! As we have discussed in previous articles, Mobile Marketing is, ironically, not commonly practiced in a rapidly growing Mobile Marketing, and Mobile Advertising continues to go untapped for the most part! For those that have been doing it: “Two of the biggest pain points to date for ad agencies have been tracking and measurement, and there has been no available mobile ad-serving platform to address these challenges – until now,” said Julie Preis, Senior Vice President of Product Management at Mocean Mobile. It is said that by the end of 2013, we can expect 20-percent of the GLOBAL population to access the Internet via mobile and 30-percent by May of 2015. These numbers are much higher for specific areas of the World, such as The United States, Canada and major areas in Europe. With the unestimated launch of Google’s Internet balloons in remote areas around the World and the fact that WiFi can be supported on mobile devices, which are lower priced than computer terminals and laptops, this number may indeed be a “low ball” estimate in this given time period. As for Mocean Mobile, the number of ad impressions has increased by 180-percent between March 2012 and March 2013. Proven mobile ad-serving technology that currently manages more than 80 billion mobile ad requests per month. Who is Ray Donovan? Shhhhhhh… (whispering)… He’s the “go to” guy when you need something done but don’t want to get your hands dirty! He makes the problems “go bye bye” for today’s celebrities, high-class business moguls and superstar profile athletes. He’s smooth, slick, and “…no one can ever know…” It’s a good thing he’s Emmy® and Golden Globe® Award nominee, Liev Schreiber, starring as the lead role in “Ray Donovan,” Showtime’s newest drama. Because, after June 30, we might all be sleeping with one eye open! The Internet Marketing and Branding teams behind this soon-to-be hit tv series, have been doing a wonderful job with SEO Efforts and Brand Awareness to audiences Nationwide. Their Social Branding is awesome, and it definitely hits the psychological and emotional nerves of consumers who are highly anticipating the premiere episode. As a matter of fact, the Facebook “Like” Page for the brand’s presence, on its own, is already liked by 178,000 people, 13,000 which are active and already speaking about the show on a regular basis! This doesn’t include the many to “like” the content displayed therein or the multiple comments by “fans” already on the page! In using Google to find content related to the show, one might notice that categories have been created based around anticipated search terms in providing official content to consumers looking for results from the brand, directly. Searching for Cast Members, Scenes, and Series Information will lead you directly to brand content that will boost all connected media within the search engines. All media is named, titles, and linked to other related media. In Video Distribution Sites like Youtube, for example, playlists are set up with video content for consumption by potential audiences. They are all hosted on Showtime’s official channels, but sub-hosted via Ray Donovan Playlists. These are all properly titled, tagged, described and pointing to specific Calls to Action and linking to other related content. These videos shorts don’t include annoying commercials. They are easy to find. Messaging is brief and basic — but it is also very informative. And, there are playlists. With playlists, distraction by other channel content is less likely and more views (and optimization) are almost guaranteed. Additionally, Archetyping and Brand Storytelling are possible through a series of “Behind the Scenes,” “Character Profiles,” “Trailers,” and more! The personalization with, the connection to, and familiarity of the show and characters will build anticipation and create a stronger desire for audiences to consume this series on a more loyal basis, instilling Brand Loyalty in the process. 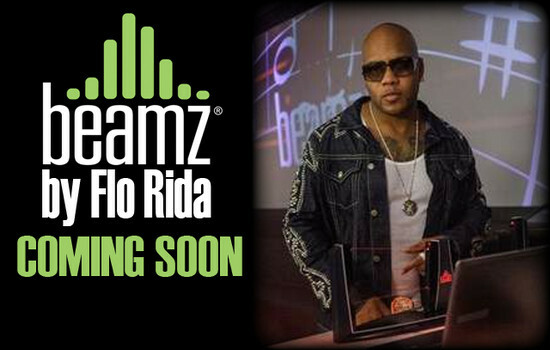 Viral means will take place as video content, as well as other content in other distribution channels, are shared. Word of Mouth will occur once the public starts speaking to their friends and family about the brand… and they already are! While there are so many positive things that the Internet Marketing and Branding teams behind Ray Donovan, the show will speak for itself! These teams have done all they can to make us feel the need to consume this series. Now, the series will have to “stick us.” And, it is definitely expected to with its high-action energy, immense on-the-edge-of-your-seat drama and emotion, suspense and high-profile actors! All that will be left to do is expand the team, because the next step in the Marketing Process will be the ongoing interaction with fans and content distribution in keeping them “glued” to the show on a more personal level! While “no one can ever know,” everyone surely will find out! 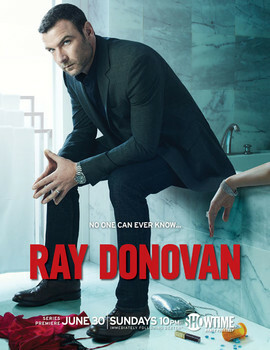 Be sure to tune in to the series premiere of Ray Donovan at 10 PM(EST | PST), June 30, 2013, only on Showtime!